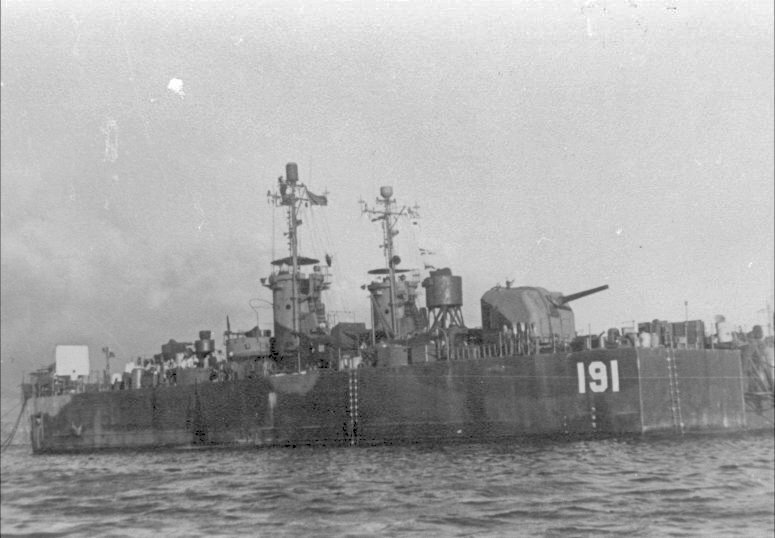 Laid down, 27 August 1944, at Charleston Navy Yard, Charleston, S.C.
Decommissioned, 12 February 1946, at Terminal Island Navy Yard, San Pedro, CA. The DANFS history extract for USS LSM(R)-191 is from LSM-LSMR Amphibious Forces, Vol. II. Paducah, Kentucky: Turner Publishing Company, ©1997. (ISBN 1-56311-389-9).